these words and the melody of "Tears" really touched me. While searching and studying information about TRAX, I chanced upon the legendary rock group, X JAPAN, and fell under their spell. 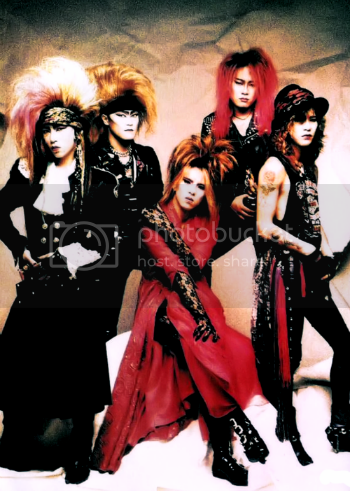 Yoshiki, the leader of X JAPAN, took TRAX under his wings when they were in Japan and produced a couple of TRAX's songs. I've already posted TRAX's version of Tears, now....click HERE or HERE for the original Tears from X JAPAN. You might have gotten a visual shock at their "look" ya ? Well, X JAPAN is a pioneer of the "Visual Kei" movement....what is Visual Kei, you might ask...well click HERE and read, OK ? kekekeke....in their early years, I'm positive that their performance on stage created an artistic feast of the senses for the audience. If you look around today, most Japanese manga or anime heroes will have the Visual Kei look of X JAPAN...with hair-styles of many hues and forms, interesting headbands or accessories and dramatic make up...[have you ever seen the characters of " Naruto " ?? ]....go to Japan and visit Harajuku and Ibaraki...you'll see cosplays and view the obvious dramatic and flamboyant Visual Kei elements. 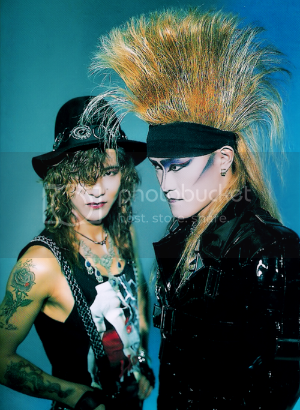 The founder of X JAPAN are Yoshiki and Toshi, the two of them formed a band when they were still 11, it disbanded then they formed another band called "X". Yoshiki is the pianist and drummer of the group and he also composes most of X JAPAN's music. After reading about him, imo Yoshiki is an artistic genius whose talent goes beyond the music field. Yoshiki's circle of friends in the entertainment industry includes many world-famous names ...such as the late Michael Jackson. 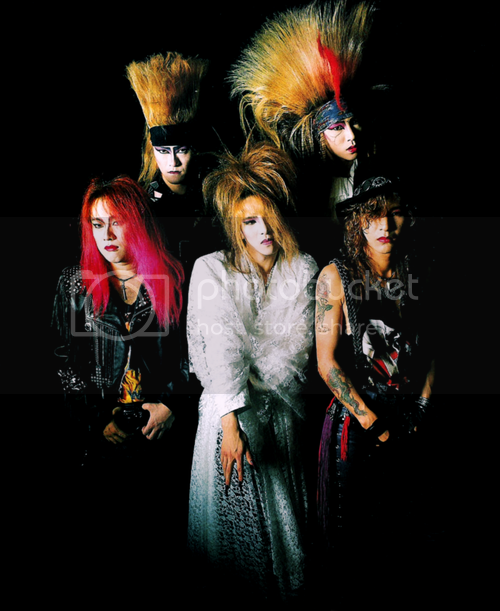 The members of X JAPAN were : The leader, Yoshiki [drums, piano], Toshi [vocal, guitar], hide [guitar], Pata [guitar], and Taiji [bassist]. 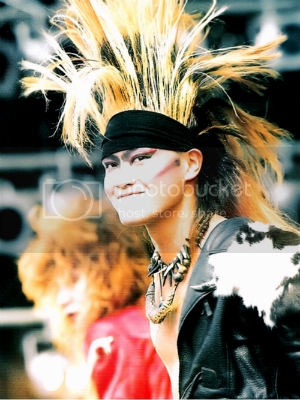 Around 1992 Taiji left the band, he was replaced with Heath. Never thought I'd love a rock group...well,TRAX and X JAPAN obviously changed me. Click HERE if you want to know more about X JAPAN, and click HERE if you want to go to their official site. 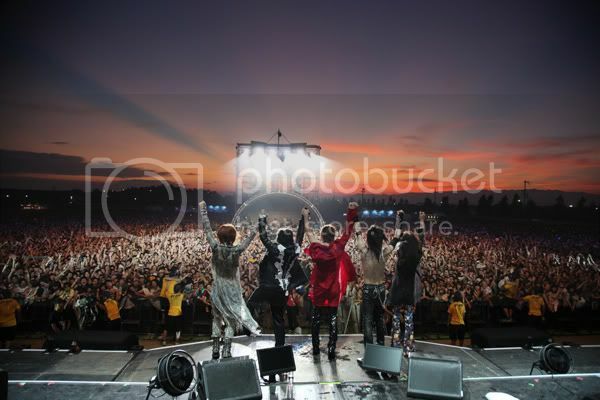 I think you who are familiar with rock groups could gauge the degree of their popularity when I tell you that Richard Fortus [of GN'R], Wes Borland [ex Limp Bizkit] and Sugizo [of Luna Sea] once joined them... performing together on stage in X JAPAN's 3 day reunion concert in Japan. Richard Fortus and Robin Fink also performed one of their songs in their guitar duet at GN'R's concert in Japan. In 1996, after the release of their fifth and final album, DAHLIA, Toshi announced that he was leaving the band due to personal reasons. 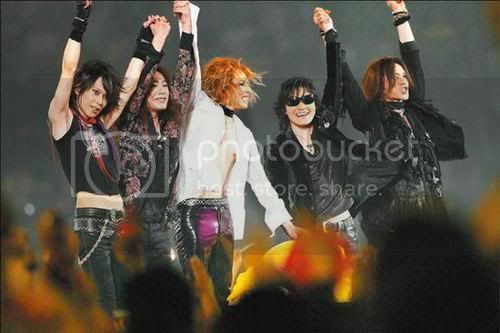 In 1997, X JAPAN announced their disbandment and had a final concert at the end of the year. 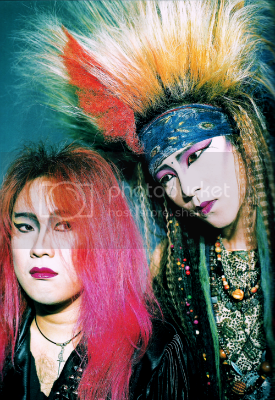 On May 2, 1998, "hide" [Hideto Matsumoto] was found dead at his home, authorities deemed the guitarist's death a suicide, but several of hide's friends and colleagues believed it to be an accident....because there was no suicide note found. This year they are having their World Tour and will be performing in Seoul on the 28th this October. How wish I could see them......y'know, I read the news about CN Blue opening for Linkin Park in Japan not long ago, oh ...wouldn't it be wonderful if the original-membered TRAX were opening for X JAPAN in their upcoming concert in Seoul ??!! Mission impossible....but... a lady can dream can't she ? I might be very late in knowing about them, but I'm so happy to have found them. Their music is extraordinary. I had a great time researching and reading about them...in fact, I'll still be following their moves and listening to their music.... still have to catch up with listening to "Art Of Life" and others. Good Luck for the future to X JAPAN, keep up the great work by making more awesome music !! Better late than never, Myoce... I'm the latest then. Hahaha... Can I say that I'm X now? 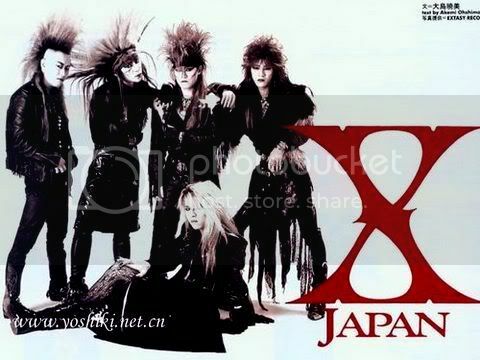 Dear Meyta and Arya Kirana.....I'm also very glad to know X JAPAN !! Love their songs, and I admire Yoshiki and love Toshi's voice and I think all the members are super talented at what they do, Very glad to meet you two...fellow X'ers. WE ARE X ! !